Today is Harry Potter’s birthday! We did a little craft to celebrate! The kids have really been into making wands with Legos or whatever they can get their hands on, so we made wands today. 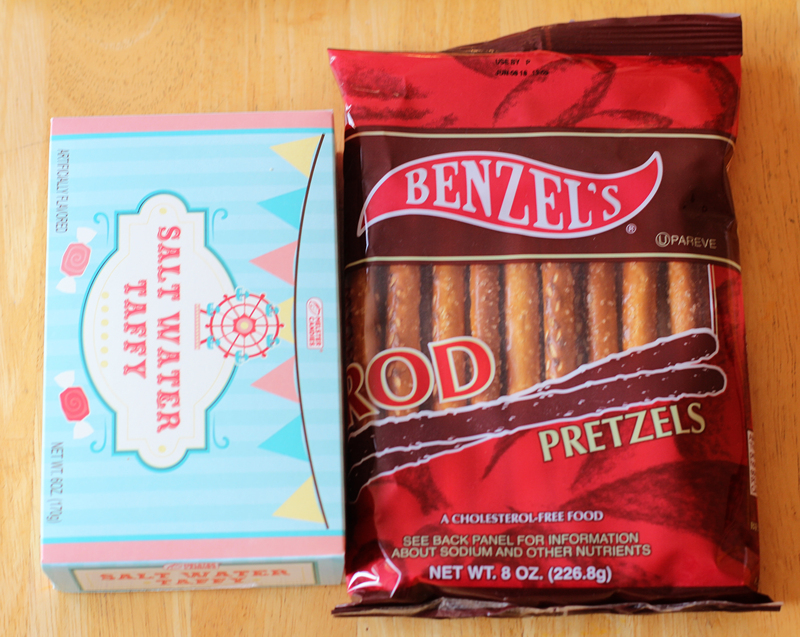 These wands just happen to be yummy. I also decided on this craft because it’s so stinkin’ easy and we had camp today, so we were tired. 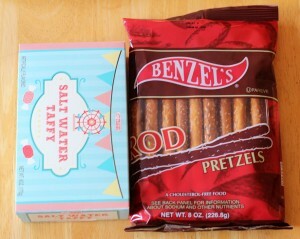 I just stopped at Dollar Tree and picked up two items: pretzels and taffy. 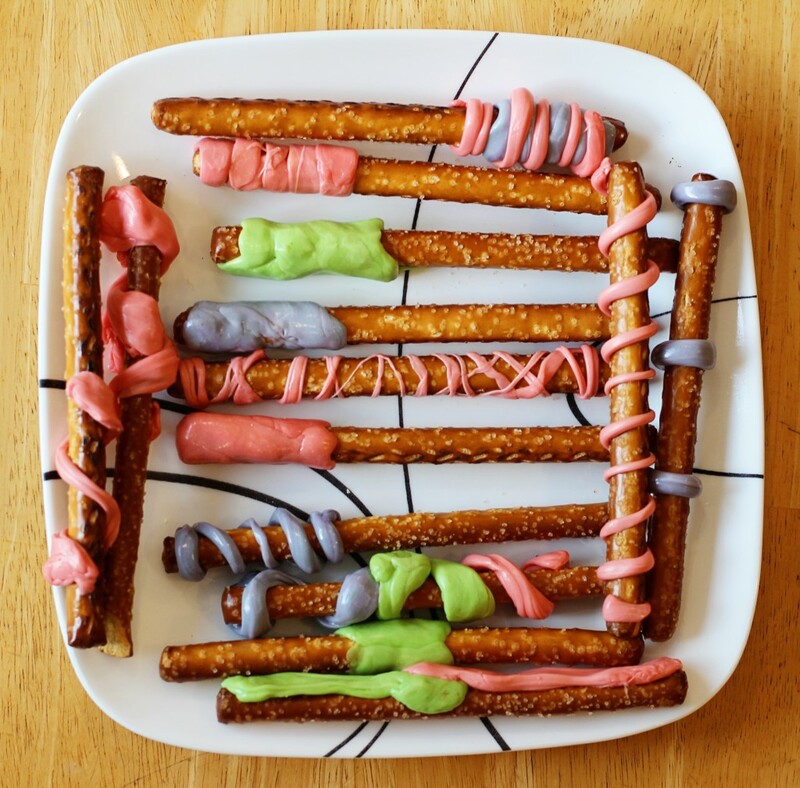 We stretched the taffy to mold onto our pretzels to get the look we wanted. 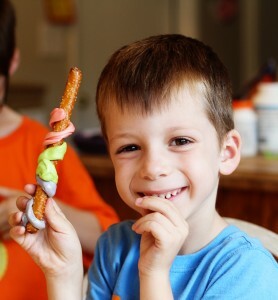 It didn’t take long and the kids had a lot of fun! There’s no way to mess these up. 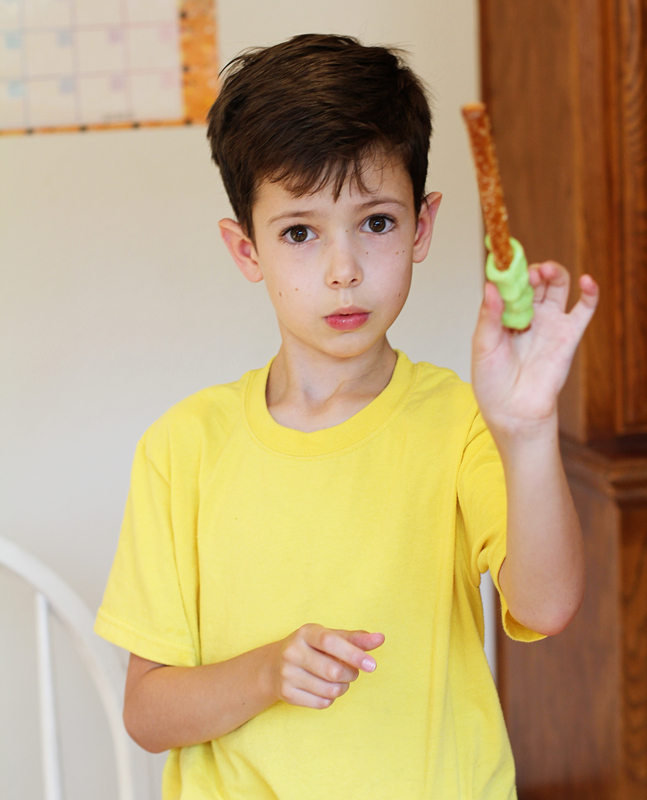 Although, Daddy did accidentally make Ron’s wand. Haha!